Last Sunday, I hobbled my way to a "Save Our Healthcare" rally in La Crosse, Wisconsin. Since mid-November, I have been battling strep throat. After a torturous weekend with my in-laws in Chicago, I went to the walk-in clinic back home and got diagnosed. Not only would this save me money, but I wasn't sure which Chicago hospitals would even take my insurance. I got some steroids and some penicillin and got on the road to recovery. Not long after I finished the penicillin, I noticed I still wasn't feeling 100%: still fatigued, still battling sore throat, ear, and nose. But, I told myself, I didn't want to risk spending all that money on a doctor's visit. I could gut it out, I said, but a month after my first walk-in visit I went in again and got another dose of antibiotics. During this visit, I asked the walk-in staffer about a rash that had recently shown up on my ankle, and I was told not to worry about it. The second round of antibiotics seemed to finally beat the strep... but by then it was only the beginning. The rash got worse, bigger, and began to scab over into gray blotches. In desperation, I finally bit the bullet and called the hospital proper. On a day where the terrible, icy weather caused many cancellations, I was able to slip/slide my way to a Dermatologist. After two minutes of examination, he informed me that the rash was a result of the strep slowly making its way out, inflaming my capillaries as it went. This means, possibly for the next four months, I will have this painful rash on my ankle that impairs my walking. On that Sunday, a 31-year-old man hobbled onto an icy sidewalk at a park in La Crosse, walking with the aid of a cane, and all because he tried to save money and gut out a strep diagnosis that eventually got the better of him. I should have gotten it checked out earlier. I shouldn't have tried to beat it myself. I'm not destitute: I can pay my hospital bills well enough, and I have decent insurance through my wife's work. But I'm not rich enough to where there isn't always that lingering specter warning me to avoid the hospital as much as possible, to try to save every penny in this psychocapitalist system because you never know what's waiting to take it all away. I should have, but I didn't: just another story from America's broken healthcare system. We are an international embarrassment. We are the only developed nation that does not provide healthcare for our citizens, no questions asked. We are the richest country the world has ever seen, and yet we cannot ask the richest of us to pay a few percentage points off of their billions so I don't have to cut back on eating meat if my kid gets sick? If we want to say we're exceptional, and advanced, and the best country on the earth, then we'd better damn well start acting like it. Every person. Every time. Every option for care. Note from Doremus Jessup: my apologies, but I have been laid up with a particularly nasty and long-lasting strep infection since Thanksgiving. Regular posting will resume soon. Thank you for your patience. During his final news conference of 2016, in mid-December, President Obama criticized Democratic efforts during the election. “Where Democrats are characterized as coastal, liberal, latte-sipping, you know, politically correct, out-of-touch folks,” Obama said, “we have to be in those communities.” In fact, he went on, being in those communities — “going to fish-fries and sitting in VFW halls and talking to farmers” — is how, by his account, he became president. It’s true that Obama is skilled at projecting a populist image; he beat Hillary Clinton in Iowa in 2008, for instance, partly by attacking agriculture monopolies . But Obama can’t place the blame for Clinton’s poor performance purely on her campaign. On the contrary, the past eight years of policymaking have damaged Democrats at all levels. Recovering Democratic strength will require the party’s leaders to come to terms with what it has become — and the role Obama played in bringing it to this point. Two key elements characterized the kind of domestic political economy the administration pursued: The first was the foreclosure crisis and the subsequent bank bailouts. The resulting policy framework of Tim Geithner’s Treasury Department was, in effect, a wholesale attack on the American home (the main store of middle-class wealth) in favor of concentrated financial power. The second was the administration’s pro-monopoly policies, which crushed the rural areas that in 2016 lost voter turnout and swung to Donald Trump. Obama didn’t cause the financial panic, and he is only partially responsible for the bailouts, as most of them were passed before he was elected. But financial collapses, while bad for the country, are opportunities for elected leaders to reorganize our culture. Franklin Roosevelt took a frozen banking system and created the New Deal. 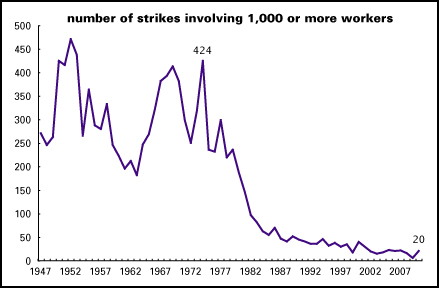 Ronald Reagan used the sharp recession of the early 1980s to seriously damage unions. In January 2009, Obama had overwhelming Democratic majorities in Congress, $350 billion of no-strings-attached bailout money and enormous legal latitude. What did he do to reshape a country on its back? Second, Obama’s administration let big-bank executives off the hook for their roles in the crisis. Sen. Carl Levin (D-Mich.) referred criminal cases to the Justice Department and was ignored. Whistleblowers from the government and from large banks noted a lack of appetite among prosecutors. In 2012, then-Attorney General Eric Holder ordered prosecutors not to go after mega-bank HSBC for money laundering. Using prosecutorial discretion to not take bank executives to task, while legal, was neither moral nor politically wise; in a 2013 poll, more than half of Americans still said they wanted the bankers behind the crisis punished. But the Obama administration failed to act, and this pattern seems to be continuing. No one, for instance, from Wells Fargo has been indicted for mass fraud in opening fake accounts. Third, Obama enabled and encouraged roughly 9 million foreclosures. This was Geithner’s explicit policy at Treasury. The Obama administration put together a foreclosure program that it marketed as a way to help homeowners, but when Elizabeth Warren, then chairman of the Congressional Oversight Panel, grilled Geithner on why the program wasn’t stopping foreclosures, he said that really wasn’t the point. The program, in his view, was working. “We estimate that they can handle 10 million foreclosures, over time,” Geithner said — referring to the banks. “This program will help foam the runway for them.” For Geithner, the most productive economic policy was to get banks back to business as usual. Nor did Obama do much about monopolies. While his administration engaged in a few mild challenges toward the end of his term, 2015 saw a record wave of mergers and acquisitions, and 2016 was another busy year. In nearly every sector of the economy, from pharmaceuticals to telecom to Internet platforms to airlines, power has concentrated. And this administration, like George W. Bush’s before it, did not prosecute a single significant monopoly under Section 2 of the Sherman Act. Instead, in the past few years, the Federal Trade Commission has gone after such villains as music teachers and ice skating instructors for ostensible anti-competitive behavior. This is very much a parallel of the financial crisis, as elites operate without legal constraints while the rest of us toil under an excess of bureaucracy. With these policies in place, it’s no surprise that Thomas Piketty and others have detected skyrocketing inequality, that most jobs created in the past eight years have been temporary or part time, or that lifespans in white America are dropping . When Democratic leaders don’t protect the people, the people get poorer, they get angry, and more of them die. Yes, Obama prevented an even greater collapse in 2009. But he also failed to prosecute the banking executives responsible for the housing crisis, then approved a foreclosure wave under the guise of helping homeowners. Though 58 percent of Americans were in favor of government action to halt foreclosures, Obama’s administration balked. And voters noticed. Fewer than four in 10 Americans were happy with his economic policies this time last year (though that was an all-time high for Obama). And by Election Day, 75 percent of voters were looking for someone who could take the country back “from the rich and powerful,” something unlikely to be done by members of the party that let the financiers behind the 2008 financial crisis walk free. This isn’t to say voters are, on balance, any more thrilled with what Republicans have to offer, nor should they be. But that doesn’t guarantee Democrats easy wins. Throughout American history, when voters have felt abandoned by both parties, turnout has collapsed — and 2016, scraping along 20-year turnout lows, was no exception. Turnout in the Rust Belt , where Clinton’s path to victory dissolved, was especially low in comparison to 2012. Trump, who is either tremendously lucky or worryingly perceptive, ran his campaign like a pre-1930s Republican. He did best in rural areas, uniting white farmers, white industrial workers and certain parts of big business behind tariffs and anti-immigration walls. While it’s impossible to know what he will really do for these voters, the coalition he summoned has a long, if not recent, history in America. Democrats have long believed that theirs is the party of the people. Therefore, when Trump co-opts populist language, such as saying he represents the “forgotten” man, it seems absurd — and it is. After all, that’s what Democrats do, right? Thus, many Democrats have assumed that Trump’s appeal can only be explained by personal bigotry — and it’s also true that Trump trafficks in racist and nativist rhetoric. But the reality is that the Democratic Party has been slipping away from the working class for some time, and Obama’s presidency hastened rather than reversed that departure. Republicans, hardly worker-friendly themselves, simply capitalized on it. There’s history here: In the 1970s, a wave of young liberals, Bill Clinton among them, destroyed the populist Democratic Party they had inherited from the New Dealers of the 1930s. The contours of this ideological fight were complex, but the gist was: Before the ’70s, Democrats were suspicious of big business. They used anti-monopoly policies to fight oligarchy and financial manipulation. Creating competition in open markets, breaking up concentrations of private power, and protecting labor and farmer rights were understood as the essence of ensuring that our commercial society was democratic and protected from big money. Bill Clinton’s generation, however, believed that concentration of financial power could be virtuous, as long as that power was in the hands of experts. They largely dismissed the white working class as a bastion of reactionary racism. Fred Dutton, who served on the McGovern-Fraser Commission in 1970 , saw the white working class as “a major redoubt of traditional Americanism and of the antinegro, antiyouth vote.” This paved the way for the creation of the modern Democratic coalition. Obama is simply the latest in a long line of party leaders who have bought into the ideology of these “new” Democrats, and he has governed likewise, with commercial policies that ravaged the heartland. As a result, while our culture has become more tolerant over the past 40 years, power in our society has once again been concentrated in the hands of a small group of billionaires. You can see this everywhere, if you look. Warren Buffett, who campaigned with Hillary Clinton, recently purchased chunks of the remaining consolidated airlines, which have the power not only to charge you to use the overhead bin but also to kill cities simply by choosing to fly elsewhere. Internet monopolies increasingly control the flow of news and media revenue. Meatpackers have re-created a brutal sharecropper-type system of commercial exploitation. And health insurers, drugstores and hospitals continue to consolidate, partially as a response to Obamacare and its lack of a public option for health coverage. Many Democrats ascribe problems with Obama’s policies to Republican opposition. The president himself does not. “Our policies are so awesome,” he once told staffers. “Why can’t you guys do a better job selling them?” The problem, in other words, is ideological. Many Democrats think that Trump supporters voted against their own economic interests. But voters don’t want concentrated financial power that deigns to redistribute some cash, along with weak consumer protection laws. They want jobs. They want to be free to govern themselves. Trump is not exactly pitching self-government. But he is offering a wall of sorts to protect voters against neo-liberals who consolidate financial power, ship jobs abroad and replace paychecks with food stamps. Democrats should have something better to offer working people. If they did, they could have won in November. In the wreckage of this last administration, they didn’t.